Steven Gallagher was awarded a first class LL.B. He was called to the Bar of England and Wales in 2006. Steven has taught Equity and Trusts, Land Law and Company Law to undergraduates and International Corporate Liquidation and International Corporate Governance to postgraduates in England and Hong Kong. Steven teaches the Equity and Trusts courses for undergraduate students, the Principles of Equity and Trusts course on the Juris Doctor course and, in 2013, introduced the Principles of Cultural Heritage Law course to the LLM programme at the Chinese University of Hong Kong. 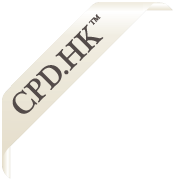 Steven has presented continuing professional development courses for solicitors in Hong Kong on many topics associated with equity. Steven’s research interests include equity and the law of trusts, cultural heritage law and legal history. In recent international reports on financial crime and combatting money laundering Hong Kong has been labelled a centre for money laundering. This 3-hour seminar will provide an introduction to the criminalising of money laundering internationally and in Hong Kong. The origins of the offence of money laundering will be considered and the measures that have been introduced to combat money laundering and terrorist funding. Money laundering is a relatively recent criminal offence in Hong Kong and the criticism of anti-money laundering (AML) and counter-terrorist funding (CTF also known as anti-terrorist funding (ATF)) practices in Hong Kong will be discussed. The seminar will conclude with discussion of possible changes to anti-money laundering legislation and regulation in Hong Kong. Where did the offence originate and why? Possible changes to AML and CTF in Hong Kong.